I told you post French pharmacie haul that I had found a new miracle skincare combo for dehydrated skins, so let me review that for you today. A unique serum contains high concentration of Avène Thermal Spring Water to provide long-lasting hydration and enhance effectiveness of products used directly afterwards. With 77% water an it and no oil, this is exactly the kind of product I was looking for. My skin gets dehydrated and flakey due to the central heating but if I use too rich products, I will get clogged pores and whiteheads. So this is the perfect product as it brings lots of hydration withouth bringing oil when you don't need it. The glass bottle contains 30ml and comes with a pump, so it's a very solid packaging that is also hygienic. I use two pumps for the whole face, the texture is siliconey so this spreads easily and evenly and penetrates quite fast. There is a very light frangrance to it but it's barely noticeable and Avene says it's formulated for sensitive skins. I would not use this serum on its own, as I definitely feel I need a moisturizer on top to get enough hydration, but I can definitely say this has been giving my face a great hydration boost. You can use this twice a day but I use it in the morning only, under moisturizer and makeup. 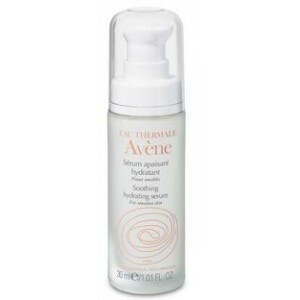 AVENE AQUA 77%, METHYL GLUCETH-20, PEG-12, CYCLOMETHICONE, GLYCERIN, PROPYLENE GLYCOL CETETH-3 ACETATE, AQUA, POLYACRYLAMIDE, ALCOHOL, BENZOIC ACID, C13-14 ISOPARAFFIN, PARFUM, HYDROXYETHYLCELLULOSE, LAURETH-7, PEG/PPG-18/18 DIMETHICONE, PHENOXYETHANOL, PHOSPHOLIPIDS, SODIUM DNA, TETRASODIUM EDTA. Hydrance Optimale Légère - Light Hydrating Cream. This product actually exists in 4 different versions: light or rich (for very dry skin), with or without SPF. I got the light one without SPF. I have been using this as a morning only moisturizer, on top of the serum and under my makeup. The packaging is a 40ml tube with a screw cap - no pump here, which is slightly less hygienic. It is, however, practical and light if you need to take it along with you somewhere. The product has a cream texture but is very easy to spread, not feeling greasy at all, and it does feel very moisturizing despite the light texture. It sinks in quite fast, I don't really wait between serum and this, but then I wait 5 mins before applying my makeup base. I find my skin isn't tacky by then and I have no problem applying a foundation or TM. This doesn't make me feel greasy through the day, or maybe just a little in the afternoon on the T-zone only, however it does make my skin look plump and hydrated and radiant right after application and for the whole day. My skin feels very comfortable when I am using those two products, and they have definitely helped with irritation and redness that were due to dehydration. 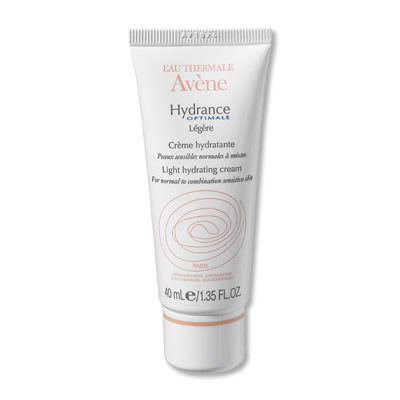 If your skin is very dry or temporarily extremely dehydrated, Avene recommends switching to the Rich version, but if you have more normal/oily skin, it's recommended that you don't use it for too long, maybe just a week in emergency situations, and then that you switch back to the light version. A fabulous duo, extremely efficient and very suitable for sensitive skins. This is available pretty much worldwide, but the prices can greatly vary, therefore you need to do a bit of research. In France these products are around the 15€ mark for the serum and 10€ for the cream, so this is really affordable for a product of great quality.